Genre/Influences: Electro-pop, dance-pop. 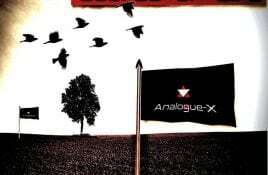 Background/Info: Analogue-X is a brand-new German synth-pop formation. Set up in 2017 by René Mußbach, Susan Mußbach and ALexis Voice, the trio.